GIVING A SILENT THEATER SOUND! 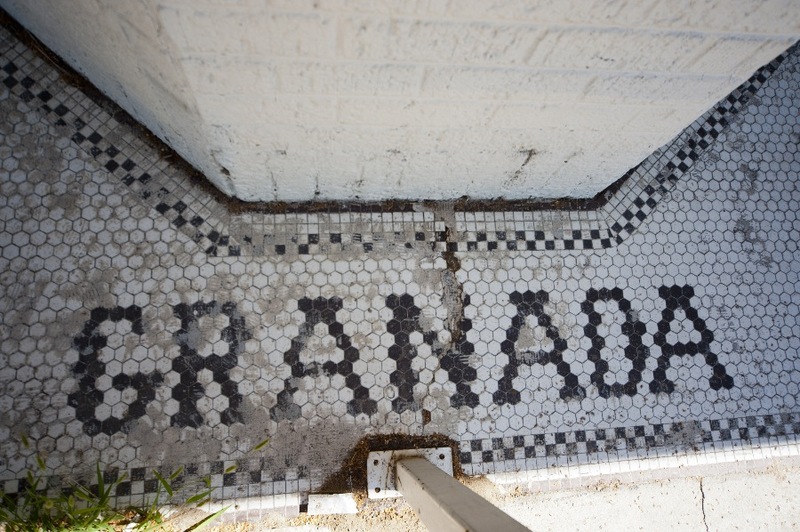 The Granada Theater in Denver, Colorado has sat silent for many years. With the redevelopment of the Highlands and Jefferson Park neighborhoods, sounds of hammers and saws reviberate through the streets. 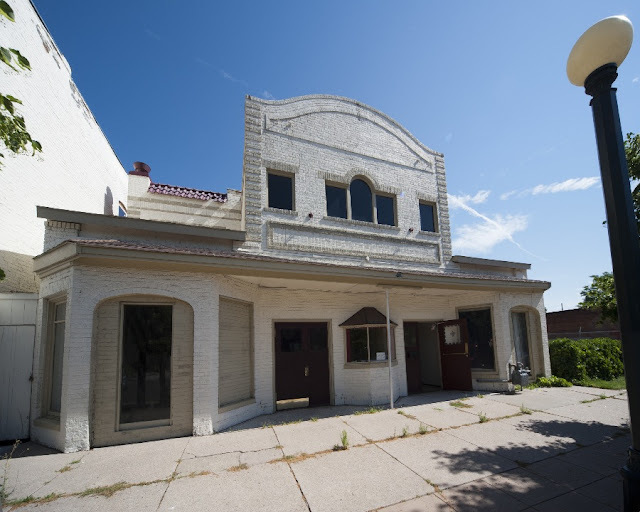 The façade will be restored to include two storefronts and artistic representation of the original marquee. (a mini version of the original theater). The gallery hall will divide the existing lobby into two retail spaces. Which would be perfect for a gelato shop or a realtor's office. Theater mezzanine with the projection booth behind. Outdoor mezzanine terrace with downtown view balcony above. In the spring of 2011 a client called to inform me that he found a building he wanted to turn into his home. 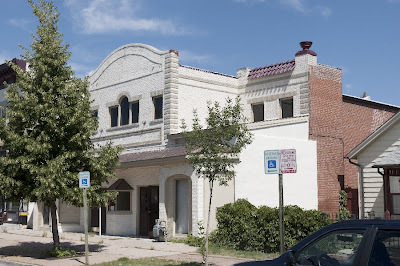 Imagine my surprise when I found the building was a 1926 silent movie theater! The ‘Granada’ theater built by the Marx Bros.is a Spanish Colonial styled building. Upon entering the lobby there was very little of the original detail. 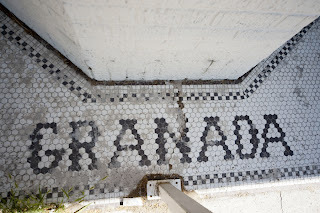 The arched top theater doors and the mosaic marble tile floors gave me a peek into it's past grandeur. Through the theater doors was the stage arch surround with a plaster crest at the top. 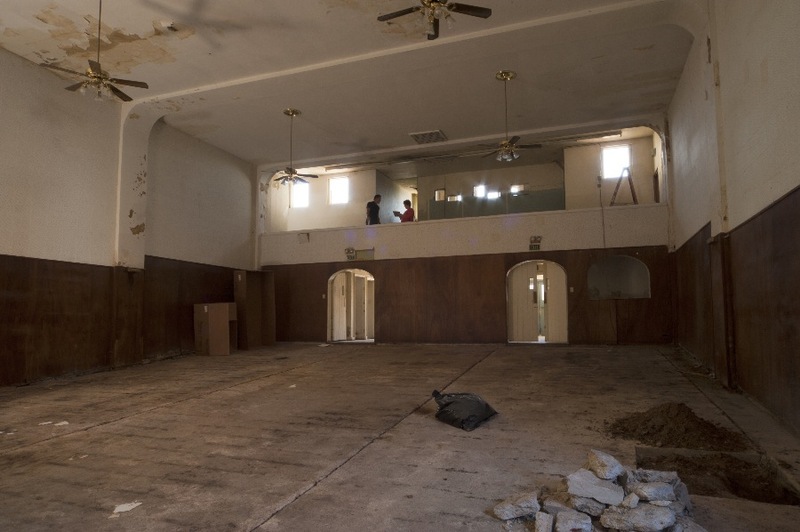 Over the years the theater had served as a concert hall, and a church, but now sits empty. From the hardwood floors to the intricately painted moldings, all the details that made going to the theater a special treat were gone. 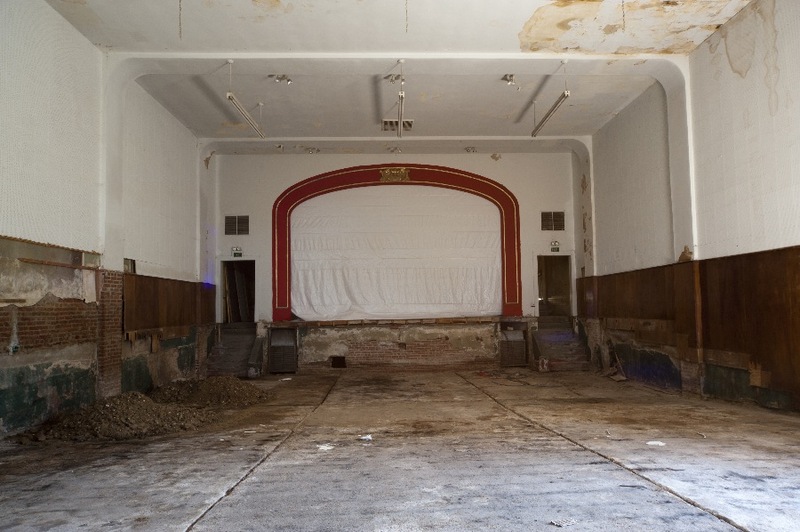 To restore the theater to it's original glory would have been cost prohibitive. 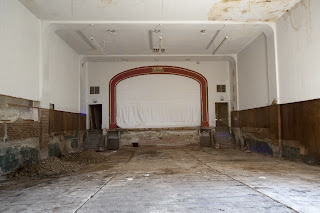 The decision was made to re-purpose and convert this once silent theater.